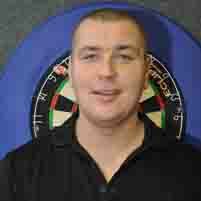 Boris Krcmar is the very first dart player from Croatia who takes part in the PDC World Championship. He qualified for the World Championship 2011 over the Southern European Qualifier. Krcmar is better known as a soft dart player, he is on seventh place of the EDU ranking and has won several tournaments among others the EDU European Championship 2009. In 2009 and 2010 he played the PDC Europe Players Championships in Austria, he was most successful in the first one he took part were he ended under the last 32. Krcmar is Croatia's Top player.